Nickel (Ni) and Cobalt (Co) are associated trace elements, and considered essential to human health. While a Cobalt + Vitamin B12 relationship is well documented, a similar, but less documented affiliation applies to Nickel + Vitamin C. Also less documented is the control nickel and cobalt exert over the muscular walls of the body's arteries. Cobalt specifically affects the right coronary artery, resulting in vasodilation with low levels, and vasoconstriction with high levels, while nickel exerts the same vasodilating / vasoconstricting effect on the left coronary artery. The association of Nickel to Vitamin C is similar to the one of Cobalt to Vitamin B12 as far as excess and deficiency symptoms and their interaction with other nutrients is concerned. For instance, iron deficiency anemia is often found in the presence of low nickel, and it is a well-known fact that Vitamin C assists in iron absorption. Both - Vitamin C and nickel - can also be beneficial for cirrhosis of the liver, hypoadrenalism, or to improve insulin production. Likewise, pernicious anemia can result from cobalt deficiency, for which Vitamin B12 is a well-known treatment, being organically complexed with cobalt. Nickel is a trace element that has been linked to skin allergies  or dermatitis in regard to eyeglass frames, dental materials, and costume jewelry, however of the approximately 10 mg in the body, significant amounts of nickel are found in RNA and DNA where it interacts with these nucleic acids. Most of plasma nickel is a constituent of the circulating proteins nickeloplasmin and albumin, and it is also thought to be a factor in hormone, lipid and cell membrane metabolism. Insulin response is increased after ingesting nickel, which may be related to its activation of enzymes associated with the breakdown or utilization of glucose. Nickel Toxicity is usually not a problem unless several grams are ingested from non-dietary sources, or unless there is a natural tendency to retain too much nickel, which could lead to asthma, angina an/or other cardiac symptoms as a result of nickel interfering with Vitamin E activity. However, nickel is quite toxic in its gaseous form of nickel carbonyl, and it has the potential to cause cancer of the sinuses, throat and lungs when insoluble nickel compounds are inhaled for long periods of time. This does not apply to soluble nickel compounds such as chloride, nitrate, or sulfate. Once someone is sensitized to nickel from an allergic reaction to nickel-containing materials, subsequent contact will have to be avoided as it will continue to produce these effects. Skin reactions such as itching, burning, redness or other rashes are the most common symptoms with nickel sensitivity, however asthma attacks are another, but less frequent possibility in some people. Intestinal absorption of nickel is less than 10%, with the kidneys controlling the retention or elimination of nickel, however most of it is eliminated in feces, some in urine, and a small amount through sweat. For instance, Vitamin C increases iron uptake, which Vitamin E inhibits. Vitamin C lowers manganese and zinc, while Vitamin E helps increase manganese and zinc absorption. As a result, a very high intake of one will require an equally high intake of the other to maintain the same ratio. On the other hand, a pre-existing abnormal Vitamin C / Vitamin E ratio requires greater supplementation of one (compared to the other), to help normalize it. An increasing number of studies have come to the conclusion that excessive intake of Vitamin E has the potential to increase the risk for heart disease rather than having a preventive effect, which is not only a concern for overdosing on Vitamin E, but other Vitamins and minerals as well. While an optimal intake of any nutrient will provide optimal benefits, going beyond this ideal amount may not only reduce those benefits again, but potentially lead to adverse consequences. Most patients Dr. Ronald Roth had tested over the years had with few exceptions, much greater requirements for Vitamin C than for Vitamin E, so an excessive intake of Vitamin E could in those individuals easily worsen any low Vitamin C-related medical problems, which include cardiovascular disease. Some theories on a negative "High Vitamin E / Heart Disease" relationship include the possibility that megadoses of antioxidants can turn into pro-oxidants. At the same time, there is evidence that mixed carotenoids (lutein, alpha / beta carotene, lycopene, zeaxanthin, crytoxanthin) are superior to using beta-carotene alone, and that complexed Vitamin C (with rutin and hesperidin) is superior to supplementing plain ascorbic acid alone. So it stands to reason that mixed or complexed Vitamin E in the form of alpha, beta, delta, gamma tocopherols, and alpha, beta, delta, gamma tocotrienols acts as a synergistic formula that reduces the risk of creating fractional Vitamin E deficiencies as a result of supplementing excessive amounts of one type (generally dl-alpha alone), which inhibits the heart-protective gamma form, although some laboratory experiments showed that gamma-tocopherol quinone caused cell death, in contrast to alpha-tocopherol quinone, which did not kill cells. One can easily see negative, rather than positive effects arising when randomly supplementing high doses of single, instead of complexed vitamins -- particularly in the absence of deficiencies. For practical purposes however, the best way to reduce the risk of cardiovascular disease is to raise one's Vitamin C intake proportionately to the amounts of Vitamin E consumed, which - by maintaining a normal Vitamin C / Vitamin E ratio - will generally prevent any potential negative consequences. At the same time, when various "scientific" studies come to totally opposite conclusions, particularly concerning nutritional supplementation, both sides should be taken with a grain of salt, since agendas may have played heavily into their outcomes. While there may be genetic reasons in some cases, most individuals requiring more Vitamin C usually exhibit much higher than average levels of other nutrients or factors that oppose Vitamin C, with Copper being at the top of the list. Lowering any Vitamin C antagonists, or adding a small amount of Nickel to one's daily dietary or nutritional regimen, considerably reduces the need for mega-doses of Vitamin C, while still achieving the same benefits. (for details on Vitamin C, see "Vitamin C Supplementation"). Cobalt is an integral part of Vitamin B12 (cobalamin), which is necessary for myelin formation - an insulating layer found around nerves, to supports red blood cell production, and it is also essential for the metabolism of fats, carbohydrates, the synthesis of proteins, and the conversion of folate to its active form. Cobalt Toxicity is generally not a concern since it doesn't develop from the normal consumption of foods and beverages, unless - as with nickel - there is a natural tendency to retain too much cobalt, in which case asthma, anxiety or cardiac  symptoms may be experienced. However, a number of years ago, cobalt salts were added to beer as foam stabilizers which lead to an epidemic of cardiomyopathy and congestive heart failure among beer drinkers. Other effects of overdosing on cobalt (> 5mg / day) include abnormal thyroid functions, polycythemia and overproduction of red blood cells (erythropoiesis), with increased production of the hormone erythropoietin (EPO) from the kidneys. Medically, EPO can increase the red blood cell count by 25-35% so it is used to treat certain forms of anemia (in chronic kidney failure). It has also been used by athletes to improve athletic performance by increasing the oxygen-carrying ability of their blood, and to fight fatigue. The blood however thickens with excessive use of EPO, so users can suffer blood clots, strokes, heart attacks, and related deaths. Cobalt Allergy: While estimated to be rare, dermal exposure to cobalt - as with nickel sensitivity - can trigger dermatitis, asthma, and other allergic reactions, whereby pre-existing hypersensitivity to nickel is a risk factor for cobalt hypersensitivity or allergy. Home or work-related contact sources of cobalt are pottery, paints, some cosmetics, costume jewelry, antiperspirants, hair dyes, dental plates, etc., and also Vitamin B12 in the form of injections (which can cause a red, itchy and tender area around the injection site), as well as tablets (which can trigger eczema-like dermatitis). In addition to nickel and cobalt, chromium is another metal whose exposure may trigger an allergic reaction in some hypersensitive individuals, necessitating the use of gloves when handling any suspect metals, or applying a protective coat of varnish (or clear nail polish) on items one has to touch and use. Vitamin B12 is available in several supplemental forms, of which cyanocobalamin & hydroxycobalamin (hydroxocobalamin = injectable) are the main synthetic forms that have a cyanide molecule attached, while adenosylcobalamin and methylcobalamin occur as two coenzymatically active and more efficient forms. In animal experiments, both of these active forms have demonstrated to reduce tumor growth, with methylcobalamin being superior in promoting nerve regeneration as well. However, other research has not only suggested an increase in cancer or tumor cell divisions from receiving higher doses of Vitamin B12 (without mentioning the actual form used), but also the presence of higher Vitamin B12 levels with some heart and liver conditions, and acute or chronic myelogenous leukemia. All forms of Vitamin B12 require the intrinsic factor for absorption, which in turn requires adequate stomach acid and an acid pH of 2.0 or less. Only microorganisms are capable of incorporating cobalt into Vitamin B12. Since cobalamin is not found in Vegetarian food sources, herbivores get Vitamin B12 by eating plants that are infested with insects, or by actively eating feces to meet Vit B12 requirements, while in ruminants (sheep, cows), the microbes fermenting and digesting plant material in the rumen (the first stomach), incorporate cobalt into Vitamin B12, which is subsequently absorbed and utilized. The average human adult body contains 2 to 5 mg of Vitamin B12, of which about half is stored in the liver. Other than resulting from insufficient stomach acid for which acid-lowering drugs, or H. Pylori infection may be responsible, cobalt or Vitamin B12 deficiency can develop from malfunctioning or surgical removal of parts of the stomach or small intestines, from celiac disease, parasites, or other malabsorption disorders. Cobalt Deficiency is not a major problem though as long as one has adequate amounts of Vitamin B12. Long-term Vitamin B12 deficiency can result in demyelination of large nerve trunks and the spinal cord, reduced white blood cells, and in pernicious anemia with symptoms of severe fatigue, shortness of breath, dizziness and headaches. Red blood cells become abnormally enlarged and reduced platelet formation causes poor clotting and bruising. While high intake of folic acid prevents the red blood cell changes caused by a Vitamin B12 deficiency, it does not prevent the resulting nerve damage, which may only become apparent in later stages and may not be reversible. Some uninformed practitioners believe that it is not possible to overdose on Vitamin B12, however 5-10% of the population present with above-normal levels of Vitamin B12, so if injections are erroneously given, they can trigger a number of adverse symptoms that may include coronary artery spasms with chest pains, numbness or pain down their right arm, and/or TIA-like symptoms with tingling / numbness on the right side of the face. There is also a risk of hypokalemia, pulmonary edema, peripheral vascular thrombosis, optic nerve atrophy for someone with Leber's disease, and others. Risks from intranasal use of Vitamin B12 include glossitis, headaches, sore throat, rhinitis, and feeling of "pins and needles." Individuals suffering from Mitral Valve Prolapse (MVP) are also vulnerable to experience a worsening, or an acute flare-up of MVP symptoms following a Vitamin B12 shot if not indicated. "Pins and needles," tingling and numbness in the tips of fingers and toes can also develop from low folic acid or folate deficiency following ongoing high Vitamin B12 supplementation or injections, which is why folate status should always be checked (and folic acid supplemented if needed) whenever Vitamin B12 is taken for longer periods of time. The same applies when folic acid is regularly supplemented, which can likewise lead to Vitamin B12 deficiency and the typical tingling and numbness symptoms, with the potential of causing permanent nerve damage. Even without having had any Vitamin B12 injections, individuals who run naturally high Vit B12 and cobalt levels (which may include patients with mitral valve prolapse), tend to frequently suffer from panic-anxiety attacks, tachycardia, or angina-like chest pains, that may be accompanied by numbness and tingling in the face or extremities. Nutritional remedies to help control symptoms include Vitamin B15 (or DMG), and CoQ10. In contrast to cellular measurements, blood tests for cobalt or Vitamin B12 levels, including the Schilling test, are not only very unreliable, but at times alarmingly wrong, as pernicious anemia can develop with "normal serum levels", subjecting patients to improper therapy, or they are misdiagnosed as Psychiatric Cases, when in fact correcting their abnormal cobalt, Vitamin B12, and/or nickel status could resolve the problem. If Vitamin B12 deficiency is suspect and there are no resources to measure cellular Vitamin B12 levels, then blood levels of methylmalonic acid (MMA) can help with assessing Vitamin B12 requirements since methylmalonic acid inversely increases with declining Vitamin B12 activity. The cell receptors of nickel and cobalt are neurologically linked to the spinal segment T4, whereby both, its alignment, and various nutritional factors control the ratio of nickel and cobalt. Alignment problems of T4, or nutritional imbalances involving nickel, cobalt, Vitamin C, E, B12 and B15 can either result in localized physical discomfort, or they can trigger cardiac / cerebral, or emotional / anxiety-types of episodes due to blood flow changes to the heart or brain through their respective vasoconstrictive or vasodilating changes. As mentioned - studies published on the effects of Vitamin E on heart disease frequently contradict one another. One additional reason may be that Vitamin E is specific to the left side only, causing vasodilation in the left coronary artery only if appropriate amounts are given. Vitamin B15 (pangamic acid) has the same effect on the right coronary artery only. Vitamin B15 is also able to counteract the effects of above-normal levels of Vitamin B12, or a B12 overdose by injection. Being not available in some parts of the world, Vitamin B15 may be substituted with DMG (Dimethylglycine) to increase pangamic acid production in the body. Some sources claim that there is a strong Vitamin C / B12 antagonism, and that supplementing large amounts of Vitamin C will inhibit Vitamin B12. While possible in theory, it generally does not happen in practice since Mineral Ratios are subject to neurological (cell receptor) and structural (spinal) control. However out of interest, Dr. Ronald Roth checked the chemical profiles of patients who either had Vitamin B12 or Vitamin C injections, since theoretically that might have had the most pronounced effect, but there were no short-term or long-term changes in the other. Since an inhibiting effect can take place during intestinal uptake, Dr. Ronald Roth also checked for any interactions with very high oral intake, but there were again no apparent or conclusive patterns to confirm this. Vitamin E raises sodium, so in some sodium-sensitive individuals this may create a slight increase in blood pressure when supplementing higher amounts of Vitamin E. Due to the vasodilating action of Vitamin E, some individuals with hypotension may find their blood pressure to go even a bit lower. 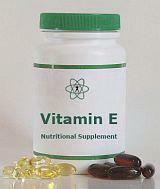 Blood pressure values for the rest of the population generally remain unaffected by Vitamin E supplementation. While some sources claim otherwise, the blood-thinning effect of Vitamin E can be potent enough that an excessive intake over longer periods of time is capable of causing bruising, and even hemorrhaging as a result of significantly lowering calcium and Vitamin K, which are required for normal blood clotting. General recommendations for nutritional supplementation: To avoid stomach problems and improve tolerance, supplements should be taken earlier, or in the middle of a larger meal. When taken on an empty stomach or after a meal, there is a greater risk of some tablets causing irritation, or eventually erosion of the esophageal sphincter, resulting in Gastroesophageal Reflux Disease (GERD). It is also advisable not to lie down right after taking pills. When taking a large daily amount of a single nutrient, it is better to split it up into smaller doses to not interfere with the absorption of other nutrients in food, or nutrients supplemented at lower amounts.